California State Fullerton ‘grows people and food’ to empower foster kids with life-long skills. 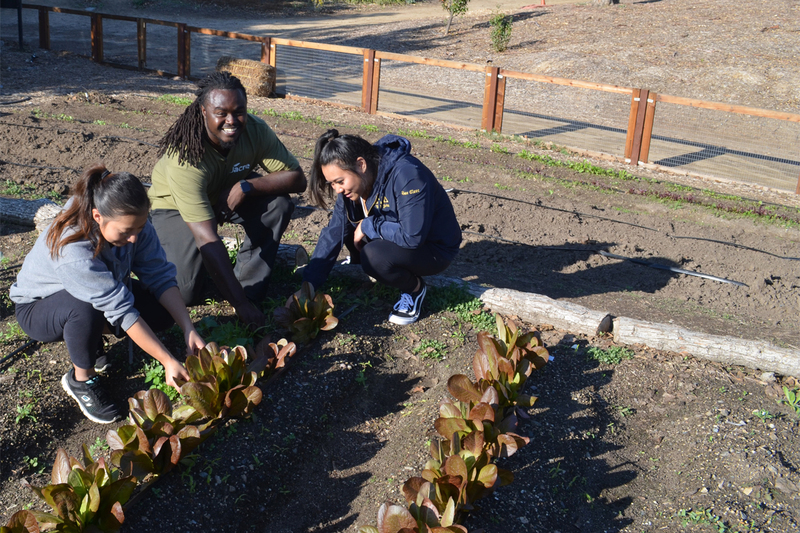 The half-acre Learning Farm at CSUF is actually one cog in a complicated mechanism through which HCH collaborates with CSUF to provide much-needed real-life work experience for its foster kids, and others who have emancipated—both at the farm and at a local restaurant called the Monkey Business Café. Additionally, the collaboration provides them with “wraparound” services, such as formal and informal mentoring, that extend beyond the most basic housing-and-education needs that foster care usually covers; such services are now understood by experts to be fundamental to these kids’ ability to thrive. 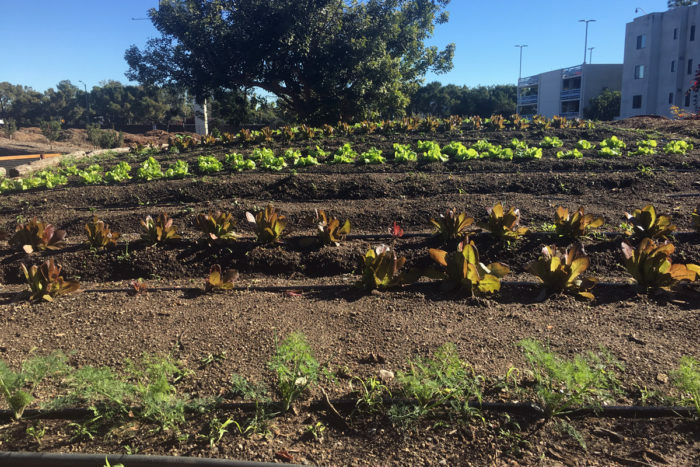 The farm is also part of the Urban Agriculture Community-based Research Experience (U-ACRE), a program available annually to 15 CSUF students, who conduct community-based research with a food justice/sovereignty slant. But before that, and before it teamed up with the Hart Community Homes, it was an underappreciated, little-used demonstration plot, according to Greg Dyment, director of the arboretum in which the farm lies. It was rescued from irrelevance in 2008, after Dyment joined CSUF anthropology professor and U-ACRE founder Sara Johnson for a meeting at Monkey Business. Dyment was unaware the café was owned by HCH executive director Carissa Hart-Bunevith, who also attended the meeting. Today, HCH not only uses the farm’s crops at Monkey Business; its amenable work-age kids also raise them alongside U-ACRE student-mentors, devise recipes for the café using the heirloom tomatoes and squashes and peppers they’ve grown and harvested, and then conduct nutritional analyses of those recipes with Johnson in the CSUF computer lab. Although the amount of time the kids get to spend in those activities varies based on their tenure at HCH—anywhere from a few weeks to a few years—even a short time spent in the company of peers and encouraging grown-ups, enjoying small successes, can give the boys a modicum of confidence and “hope to dream,” says Nash. There are more than 400,000 foster children in the U.S., and the statistics on their long-term success are grim, says Pennsylvania State University social scientist Royel Johnson, who studies educational opportunities for vulnerable youth. Often having experienced trauma in the form of abuse or neglect, they’re shuttled through a system with too few qualified foster parents to meet a rising need, and they frequently confront low expectations from the people meant to serve them. Often left to fend for themselves when they age out of foster care at 18—nationally, 20,000 kids emancipate every year—only an estimated 32 to 45 percent of high school graduates go on to college; between 3 and 11 percent earn a bachelor’s degree. The federal government does provide some financial assistance for their continuing education; the John H. Chafee Foster Independence Program, for example, allocates funds to states for scholarships. But with a population that shifts too frequently to track and what Royel Johnson calls a “lack of ownership among higher-ed researchers,” there are few studies on the types of programs that might help foster kids feel motivated enough to give college a try—or to succeed in any way, by any measure. Amy Dworsky, a research fellow focused on foster and emancipated youth at the University of Chicago, says that’s starting to change. For example, she says, “All the public universities in Michigan have some sort of program for this population,” which may also include wraparound services like career mentoring, and meals and housing over breaks; another model is popping up in Tennessee and Illinois. Western Michigan University is beginning to share data with outside researchers about its Seita Scholars Program, which serves emancipated students. 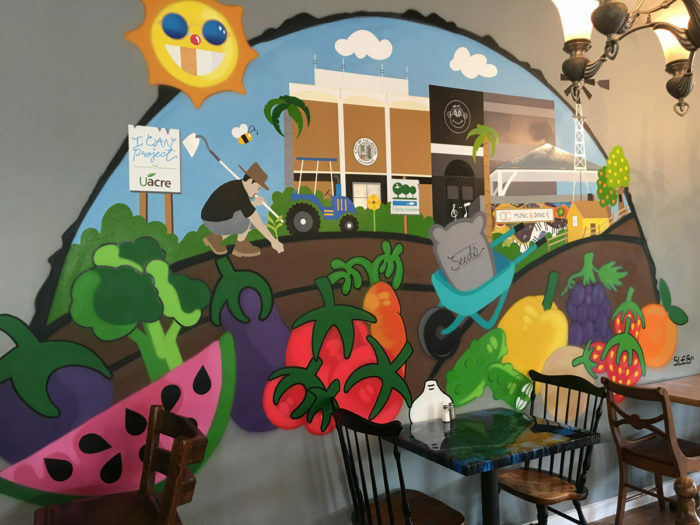 Sara Johnson also plans to publish the results of U-ACRE’s collaboration with HCH, focused on the culinary, agricultural, and nutritional knowledge they’ve gained in the program, as well as on the sorts of health-based choices they make with that knowledge. Such studies will likely prove useful in guiding researchers and policymakers in attempting to affect meaningful change in the complicated lives of these kids. Sara Johnson and other U-ACRE personnel say many boys start their time with them believing they’re “too dumb” for college; that can change as they gain confidence around students like senior Jaeda Snow, who worked with three foster boys in her time in the program. Now 19, Nash is emancipated and living in transitional housing that will provide him with a bevy of self-sufficiency support services until he turns 24. 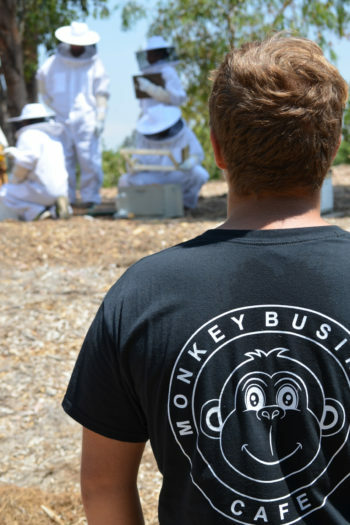 He’s back on the Fullerton farm, and back in the kitchen at a second Monkey Business location in Irvine. He feels strongly that everyone should learn how to grow and cook their own food; his current career goal is to start a nonprofit to build small houses—with gardens—for orphans. Nash and other current and former foster boys are mentored in turn by café front-of-the-house supervisor Oscar Maldonaldo, a 32-year-old HCH alum who struggled after he was emancipated (he did jail time twice) but has since found his footing. 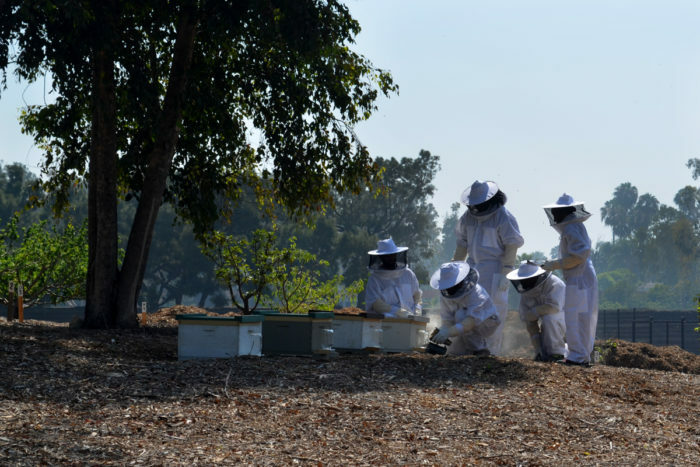 After reaching out to Hart-Bunevith for help, he’s discovered a passion for flexography—he’s taken classes at Fullerton College and the Art Institute of Orange County, designed the café’s logo, and created its murals—and for beekeeping. Roy Reid spent five years in foster care in Atlanta starting when he was eight. Today, as a 28-year-old, he supervises the U-ACRE farm’s mentorship program. By all accounts, the foster boys worship him.